Hearing these words from my friend “Ari” worried me a lot. As senior vice president of sales at a well-respected company, he has signed up time and again for the challenge, and he’s delivered quarter after quarter. I’ve always known him to be an excellent leader: smart, emotionally intelligent, and wise—just the kind of person we want at the top of a company. Ari’s division is doing well. No big crises are on the horizon, other than the now-routine demand to squeeze more profit out of the business. So why is Ari so unhappy that he’s thinking of quitting his job? What’s causing him to question his entire career and even his worth as a human being? The constant pressure, stress, and never-ending change initiatives are part of it, he told me. He’s most definitely sick of the politics on the senior team. And the rat race, he said, has finally gotten to him. Once again, he’s going to have to lay off more people, and for what reason? To deliver for yet another quarter? Ari just doesn’t see the point anymore, and the ends no longer justify the means. He is demoralized, disillusioned, and burned out. He feels isolated and alone and has lost sight of what he used to find exciting and meaningful at work. He’s given up hope that things will get better. He shows up every day and tries to play the game, but it’s getting harder and harder to keep up the charade. In his more honest moments, he admits he’s not as good a leader anymore. He’s pretty sure others would agree. Ari’s not alone. Many people are sick to death of their jobs. They are resentful and cynical, and they aren’t doing themselves—or others—much good. When we live this way for years, we can—and often do—lose interest in the things that we used to like, we avoid people, and we have little creativity or energy. This is unacceptable. Most of us work more than eight hours a day. That means that if we are unhappy at work, we are miserable for more than a third of our lives. Time away from work (if there is such a thing) is affected, too, because we don’t leave our feelings at the office, and unhappiness seeps into the rest of life. Our families and friends suffer when we are disengaged, dissatisfied, and unfulfilled. Worse, slow-burning stress, anger, and other negative emotions can literally kill us. Destructive emotions like fear and constant frustration interfere with reasoning, adaptability, and resilience. We just can’t focus when we’re gripped by negativity or when we’re obsessing about how to protect ourselves (or get back at our boss). We can’t possibly be effective at work (or anywhere else) when we feel this way. Neither can our organizations. And the other side of the coin? Companies with happy and engaged employees outperform their competition by 20 percent. With dedicated effort, Ari found his way—and he did not quit his job. The first step was accepting that he deserved to be happy at work (for some of us, this is a big step). Then, he focused on recapturing what was most important to him in life and learning how to bring it back to work. Over time, he rediscovered what he loved about his job—what made it feel meaningful and important. He rebuilt bridges and reconnected with people he used to like and trust at work. He also began to see what he wanted next. He surprised himself with this discovery: what he wanted, it turned out, wasn’t that CEO job. He wanted to lead the new, innovative division that just might keep the company at the forefront of the industry as technology redefined the business. Ultimately, he rediscovered what it means to be happy at work. 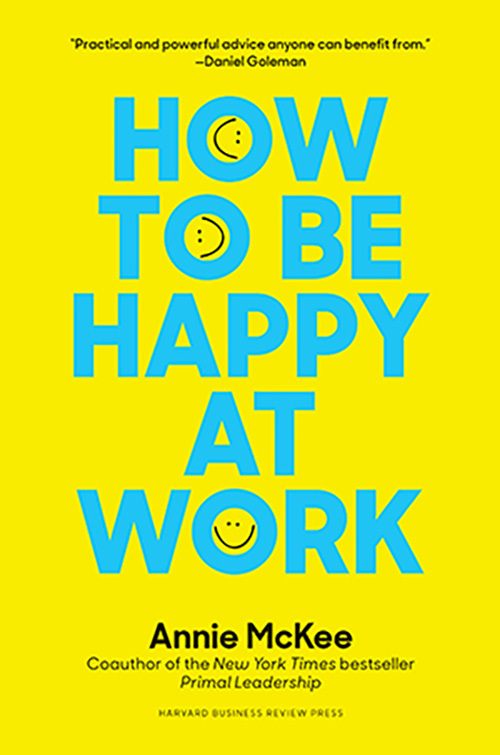 Based on extensive research and decades of experience with leaders, How to Be Happy at Work deepens our understanding of what it means to be truly fulfilled and effective at work and provides clear, practical advice and instruction for how to get there―no matter what job you have.